If you have thousands of photos and videos on your iPhone or iPad, finding a particular one can be a challenge.the IOS built-in Photos app offers some incredibly useful search tools. As long as you can remember where or when a photo or video was taken, the Photos app can help narrow down your search quickly. And if you've tagged Faces in Photos for OS X, you can even search for people, too! As long as you remember something about the picture or video in question, odds are the Photos app can help you track it down. The search feature inside the Photos app can understand certain contexts like year, faces, photos taken nearby, a specific location or place, and much more. Just keep in mind that much of this functionality depends on location information and face tagging: If you have location sharing turned off for the camera, some pictures and videos may not show up. This can also happen if you took them with a camera that didn't support location tagging, such as a DSLR. 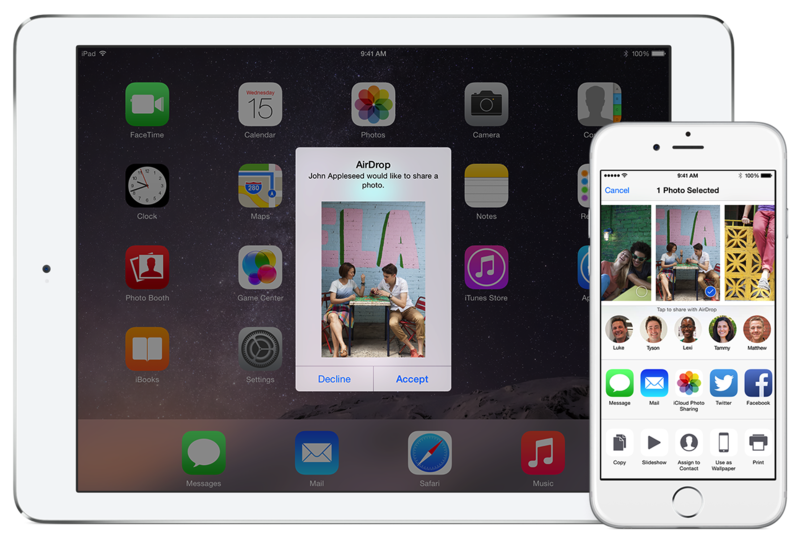 Launch the Photos app on your iPhone or iPad. Tap on Photos or Albums in the bottom navigation. Tap on the Search button in the top menu. Type in a location, date range, specific place, or person's name. For example, you can type things like "nearby," a specific location (like "New York" or "Golden Gate Bridge"), or even a specific month or other time frame. Tap on the correct search result to narrow down your results. You'll see how many photos meet the search term to the right of the search. 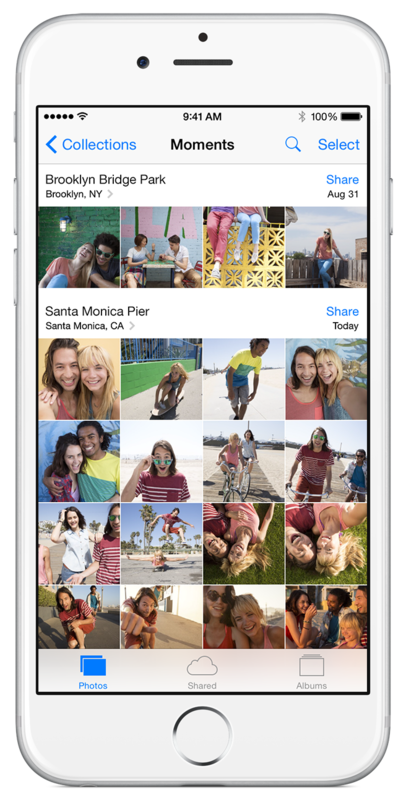 The Photos app will instantly take you to photos and videos tagged with that criteria. While you’ll very seldom face issues that will require you to reboot your iOS device, it’s good to know the option is available to you if the need arises.If your iOS device becomes unresponsive, appears to lock up, and won’t respond to the Home Button, do the following. Hold down the Power Button (on top of the iPad, and iPhone 5 and older devices, and on the right side of the device on iPhone 6 and 6 Plus devices). While holding down the Power Button, also press the Home Button. 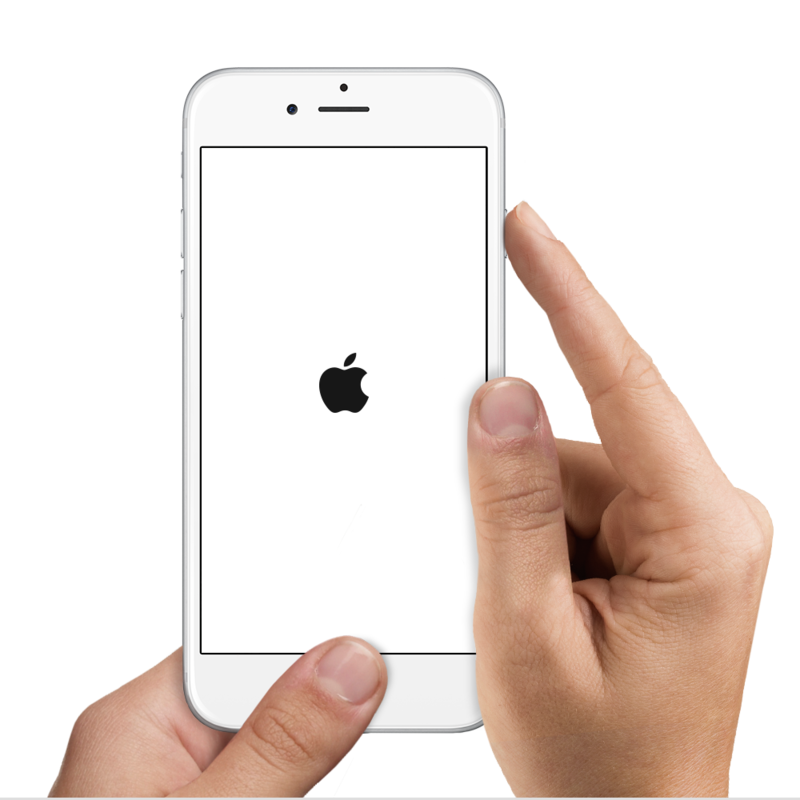 Hold down these two buttons until your device’s screen clears, and a silver Apple logo appears, as seen above. In a few moments, your iPhone or iPad lock screen will appear. Your iOS device should now work properly. Notification Center lets you add handy Today view widgets so you can keep up with your most used apps in just a swipe. 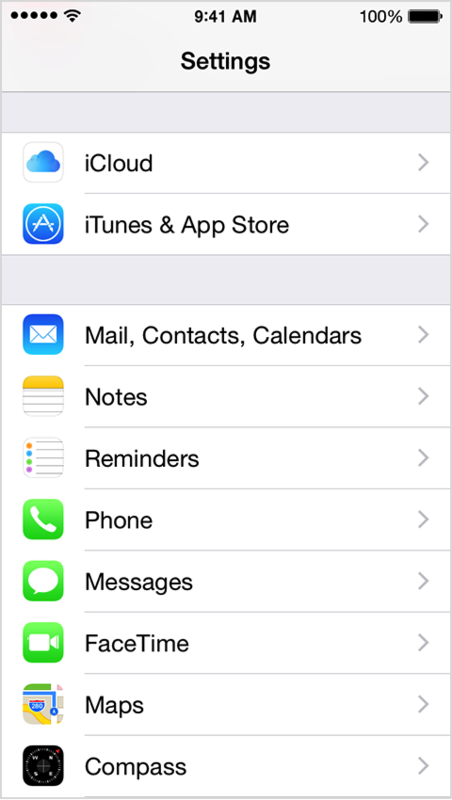 Swipe down from the top of your iPhone or iPad to bring up Notification Center. Tap on the Today tab at the top if you aren't already there. Scroll all the way to the bottom and tap on Edit. Tap and hold the move icon to the right of the widget you'd like to move up or down. The button looks like two horizontal lines. Once it's located in the place you'd like it, release your finger. 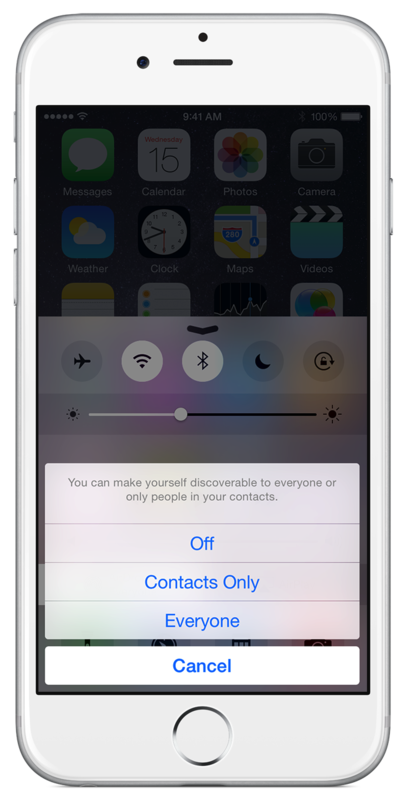 Launch the Contacts app on your iPhone or iPad and find the contact you'd like to share. On the iPhone you can alternately use the Phone app if you'd prefer. Now tap on Share Contact towards the bottom. Type the name of the person you'd like to share it with and select them. A lot of us depend on iMessage to communicate with friends, family, and colleagues. That means not every message we receive is attached to someone in our contacts. If you keep finding yourself buried in tons of iMessage threads, some less important than others, here's how to filter out messages from those you don't have saved. 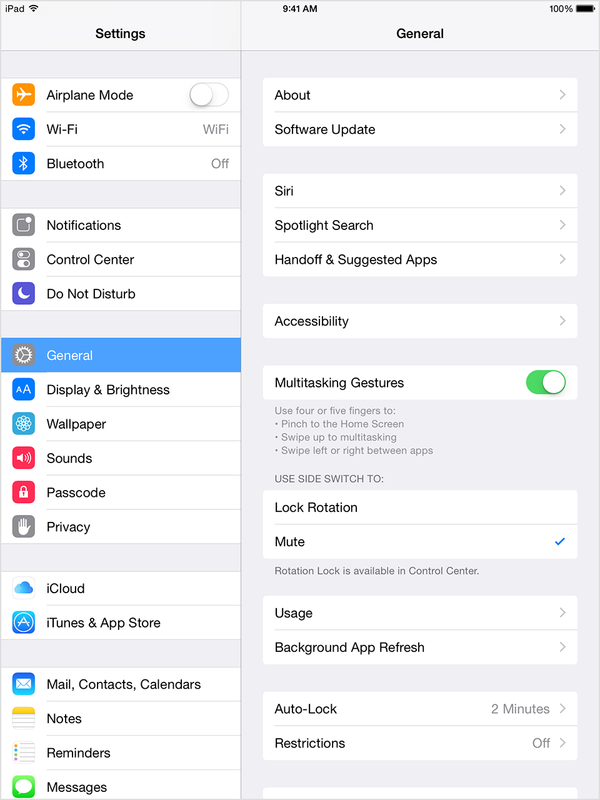 Launch the Settings app on your iPhone or iPad running iOS 8.3 or higher. Turn On the option for Filter Unknown Senders. In the Messages app you'll now see a tab at the top to view unknown senders. Either create a new event or tap an existing event that you'd like to share. Tap on the Edit button in the upper right hand corner. Add all the email addresses of the people you'd like to share the event with. Repeat the process for each person you'd like to invite. Tap Invitees in the top left when you're done in order to return to the previous screen. Tap the Done button in the upper right hand corner. Tap on the Inbox button in the lower right hand corner. Tap Accept to add the event to your calendar. Tap Decline or Maybe to refuse the invitation or wait so you can decide later. You've no doubt already heard that iOS 8.3 comes with a bucket-load of new emoji symbols for you to play around with. As well as a more ethnically diverse set of characters you also get new additions such as an Apple Watch and more flags. To find the extra faces, open up the emoji panel on the keyboard (via the smiley) then press and hold on an icon. Update your iPhone to iOS 8.3 and you gain the superpower of being able to switch seamlessly between Wi-Fi and cellular networks for your calls—provided you're on a compatible network. The trick works with EE in the UK and Sprint and T-Mobile in the US, and you can activate it by heading to the Wi-Fi Calls entry in the Phone section of Settings. Apps and platforms that don't support Google's two-factor authentication require an app-specific password, which means another step to navigate. In iOS 8.3, when you add a Google account through Mail, Contacts, Calendars in Settings, you'll be prompted for a standard verification code instead of a password, making the process more straightforward. If you're the earliest of early adopters then you'll be pleased to know that iOS 8.3 supports CarPlay wirelessly—in other words, there's no need to connect your phone or tablet up to a head unit with a Lightning cable. To set it up you need to start from the car side by pressing and holding the voice control button on your dashboard. As anyone with your Apple ID email address can hit you up with an iMessage, you might occasionally get communications from people you don't know, but iOS 8.3 helps you filter these out more easily. Go to Settings, Messages and then tap Filter Unknown Senders to create a new section in Messages that makes it easier to see and report spam. Perhaps you didn't know that launching speakerphone calls with Siri was previously impossible—but now it most certainly is an option. If you ask Apple's helpful digital assistant to call someone "on speaker" then the speakerphone is used, and it can come in handy on the move, in meetings, in your car, and various other places where hands-free is preferable. Having to enter your password every time you install an app is great from a security standpoint but a bit of a hassle when you're working on an apps round-up or something similar. You can now set the App Store to never ask you for a password for free downloads: from Settingschoose iTunes & App Store then Password Settings. If you have restrictions enabled (viaGeneral, Restrictions) then it appears on that screen instead. The option isn't available if you use Touch ID. 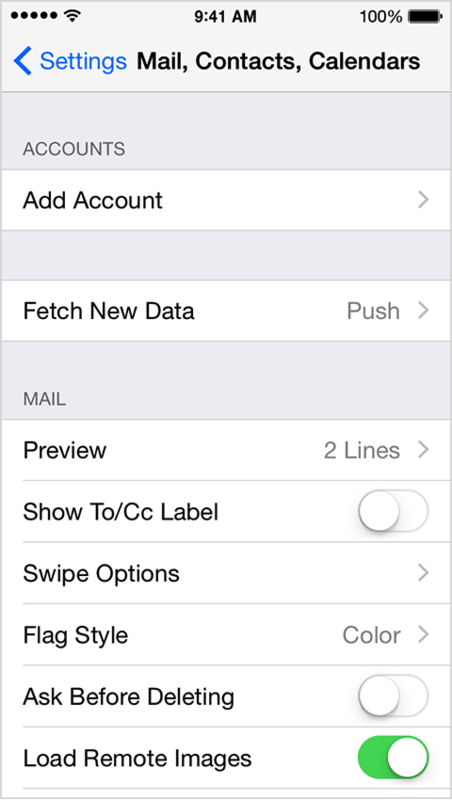 Learn how to add one or more of your email accounts in Mail on your iPhone, iPad, or iPod touch. Select your email provider. If you don't see your email provider listed, tap Other > Add Mail Account. Provide the required information to finish adding your account. 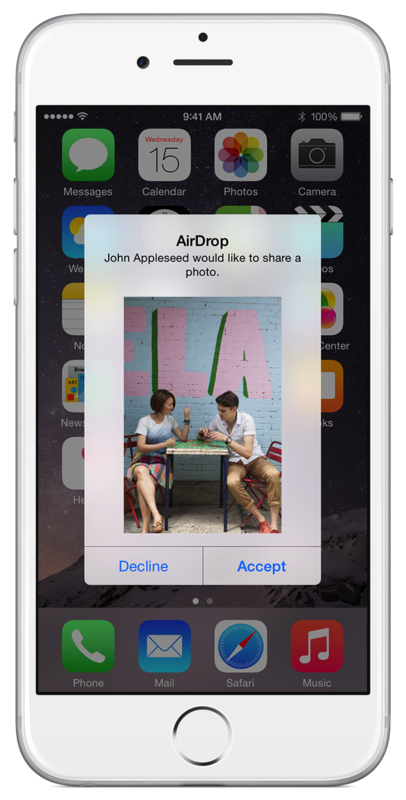 With AirDrop, you can share photos, videos, websites, locations, and more with people nearby with an Apple device. You also need to turn on Wi-Fi and Bluetooth. If you want to share with your contacts, sign in to your iCloud account. 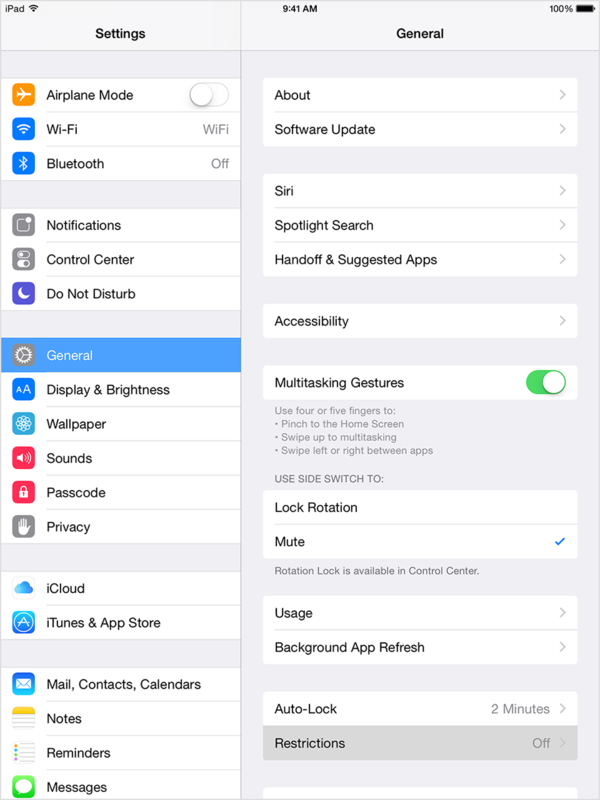 Use Control Center to turn AirDrop on or off and control whom you can share content with. Swipe up from the bottom of your screen to show Control Center. 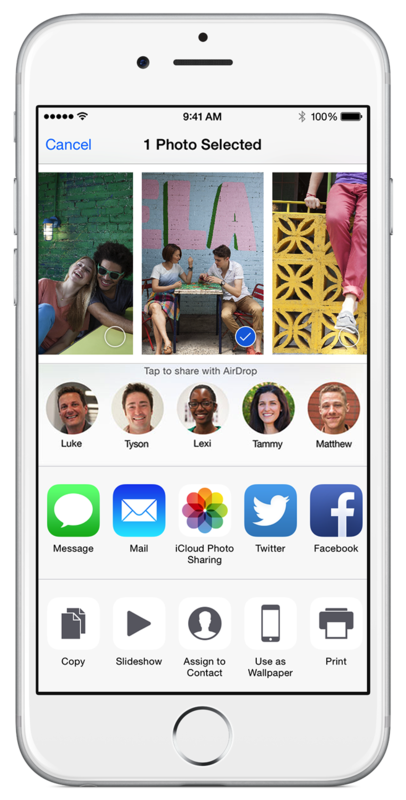 You can share content from apps such as Photos, Safari, Contacts, and more. Depending on the app, you might be able to select other items you want to share. Tap the name of a nearby AirDrop user or the Apple device. If you're sharing Contacts Only and can't find a nearby user, check that both of you are signed in to an iCloud account. If you still can't find a nearby user, consider setting AirDrop to Everyone. You might also need to turn off Personal Hotspot on one or both devices. The other user will receive an alert with a preview of the content you want to share, and can either accept or decline. If the other user accepts, they'll get the content in the app you sent it from. For example, photos will appear in the Photos app and websites will open in Safari. 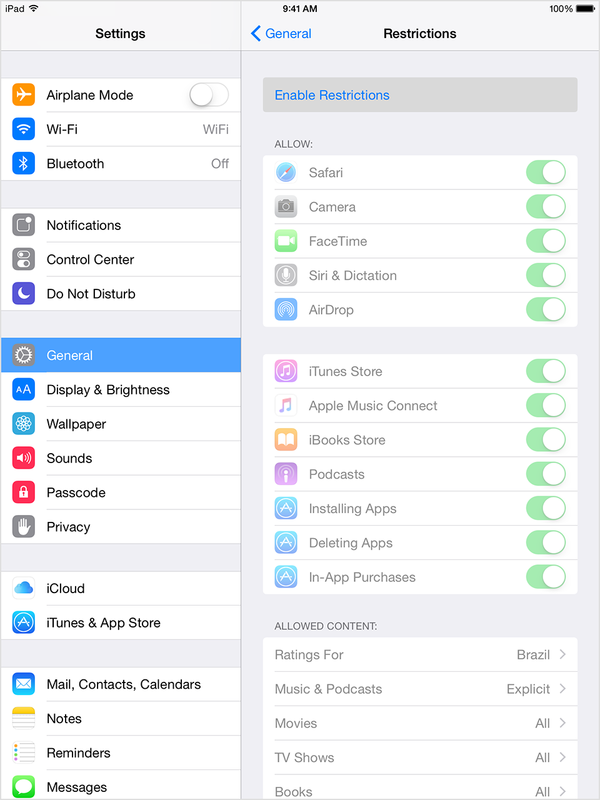 Using parental controls, you can restrict explicit content from displaying in the iTunes Store. You can also disable podcasts, radio content, the iTunes Store, and shared music so that these items don't appear on the left side of the iTunes window. Open iTunes and go to iTunes > Preferences (Mac) or Edit > Preferences (PC). On the Parental tab, use the checkboxes to disable and restrict items from the iTunes store. 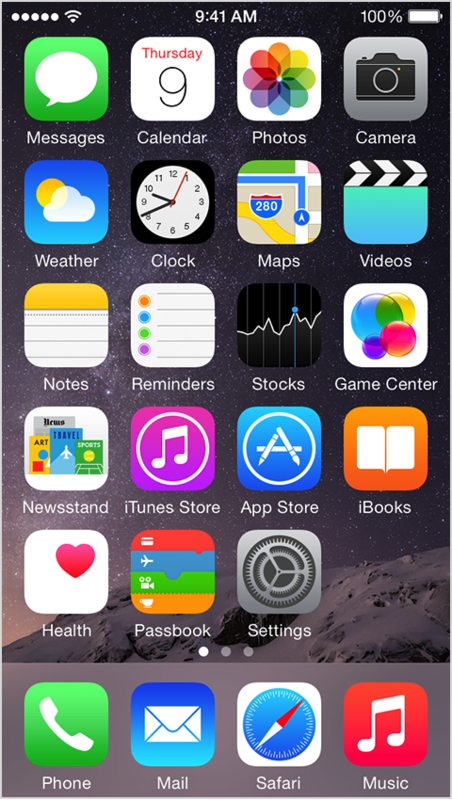 You can also set rating levels for music, movies, TV shows, and apps using the menus to the right of these items. If you want to prevent other people from making changes to your parental controls, click the lock icon and enter the administrator password for your computer. You'll use this password anytime you want to make changes to parental controls. You can limit what content your children have access to via Parental Controls (also know as Restrictions on an IOS device). This allows you to block explicit content, restrict content, restrict which movie your children have access to based on their rating, and more. Restrict access to many different types of actions, such as using iTune, downloading apps, downloading In-App Purchases, and more. Restrict access to specific content type such as movies and apps. Restrict access to specific TV shows, and apps based on their rating. Restrict explicit music and podcasts from displaying in the iTunes store. Change settings so that a password is required at every download instead of every 15 minutes. You can turn on and adjust Restrictions on your device by following these steps. Tap Enable Restrictions and enter a passcode. You'll need the passcode to change your settings or turn off Restrictions.